How Green are Hybrid and Electric Vehicles? As the world continues to become more dependent on alternative energy sources for day to day activities, one trend that has become a staple in society is the use of hybrid and electric vehicles for personal transportation. These vehicles are said to be much better for the environment, for the simple reason that over their lifetime, they burn a significantly less amount of gasoline. While a traditional gasoline powered vehicle may be able to travel around thirty miles for every gallon of gasoline burned, a hybrid vehicle of the same size may be able to travel almost twice that (McManus). Even in the most advanced of all vehicles, top tier race cars, hybrid technology is being explored for the purpose of achieving maximum fuel efficiency and performance (Patriquin). At first glance, this technology may seem to be a simple, environmentally conscious solution to the issue of burning fossil fuels. As this trend continues to grow in popularity though, it begins to seem almost too good to be true. The issue that then arises, is whether or not hybrid and electric vehicles are really as environmentally beneficial as the general public is led to believe. Even though hybrid and electric vehicles have been around for quite some time now, the question of environmental impact is becoming increasingly relevant due to the trends of sales. According to annual studies completed by Edmunds, one of America's leading online resources for automotive information, almost twice as many electric vehicles were sold to Americans in 2013 than were sold in 2012. A large contributor to that fact , besides availability, are the incentives that at least forty nine states and the District of Columbia are offering to owners of electric vehicles. Incentives include programs such as free parking, access to HOV lanes, and tax credits. 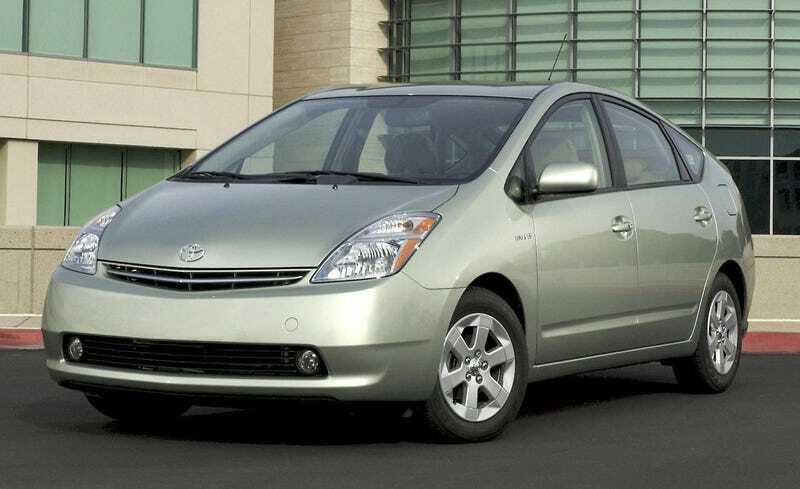 Similar programs are offered to owners of hybrid vehicles as well (Hartman). In order to fully understand the scope of the issue at hand, it is necessary to comprehend the basic concepts that differentiate traditional gas-powered vehicles from hybrids and electric vehicles. A traditional gas-powered vehicle is one in which power is generated solely from the burning of gasoline in an internal combustion engine to provide propulsion. An electric vehicle, or EV, on the other hand, is a vehicle in which electricity is stored in rechargeable batteries and then used to turn an electric motor that provides propulsion. A hybrid vehicle is one which contains both systems of an electric motor and an internal combustion engine. The two motors work in concordance. The gas motor works to provide propulsion while simultaneously charging the batteries for the electric motor. The electric motor fills the gaps in power of the gas motor (U.S. DOE). A large portion of the public believes that just because a hybrid or electric vehicle uses less gasoline during its life on the road, it is better for the environment. This is not necessarily the case. Hybrids and electric vehicles are not as environmentally beneficial as the general public is led to believe. First, this is due to the fact that many electric vehicles depend on coal burning for their electricity. Additionally, this is due to the more energy that is required to manufacture hybrid and electric vehicles. Finally, this is due to heath concerns regarding cobalt used in the creation of energy dense lithium ion batteries. Electric vehicles have a huge advantage over the traditional gas-powered vehicle and hybrid vehicles in the fight to reduce their carbon footprint: They do not burn a single drop of gasoline. Unfortunately, many advocates for the electric vehicle fail to look past that one advantage. The electricity that charges the batteries in EVs has to be produced. The U.S. derives close to 45 percent of its electricity from the burning of coal to turn massive turbines. In some of the nation's most populous states like Texas, Pennsylvania, and Ohio, that number is much closer to 100 percent (Braun). This burning of coal and emission of carbon into the atmosphere equates to approximately 62 billion dollars worth of environmental damage every year in the U.S. alone. All of this means that in order to generate the electricity to power the vehicles, a huge toll is taken on both the environmental and economic health of the world (Earth Talk). In addition to the effect that electricity production has on the environment, hybrid and electric vehicles emit more greenhouse gasses during the manufacturing process. The production of hybrid batteries, in particular, requires much more energy than producing a standard car battery, and results in higher emission levels of gasses. After the materials that must be collected to manufacture a hybrid battery are mined, they are then transported on large cargo ships overseas to be turned into those batteries (Roos). Just like the electricity that will be stored, the batteries require massive amounts of energy to manufacture. This process puts the hybrid vehicle behind the traditional gas-powered vehicle as far as environmental harm at the moment of sale. In other words, when a hybrid vehicle is sold to a customer, it has already caused more harm to the environment than a non-hybrid. Finally, the production of energy-dense lithium ion batteries for use in both hybrid and electric vehicles has been linked to pulmonary, neurological and respiratory issues. These concerns have been observed in both miners and factory workers. The link between the workers and the heath issues has been isolated to the exposure to cobalt (Thomas). Cobalt is a key ingredient in the manufacturing process of lithium batteries, and unless manufacturing and mining can be completely automated, these health concerns will continue to surface. The owners of hybrid and electric vehicles may never know the extent to which their vehicle contributed toward health issues of workers that helped to build their cars, but as it stands, the workers are truly sacrificing for the product. Many proponents of hybrid and electric vehicles have said that these vehicles are more environmentally friendly while they are on the road, so overall, they are better for the environment (Wilson). While there is no question that vehicles that burn less gasoline are better for the environment while being used for transportation, the manufacturing process can not be overlooked. It takes on average 160,000 miles for a hybrid to make up for the harm that was done to the environment during the duration of production. That is, in order to "break even" environmentally, a hybrid owner would have to drive that car 160,000 miles. It is not likely that many hybrid owners will keep their cars past the 160,000 mile mark, and even if they do, there is no guarantee that the battery in the car will last that long. Hybrid manufacturers aren't sure of the battery lives either, as warranties for batteries range anywhere from 50,000 miles to 150,000 miles. When those batteries do need to be replaced, it could cost the owners upward of 3,000 dollars (Roos). At that point, many owners may decide that it would be better to just purchase a new car instead of going through the hassle of having a new battery installed in an old car. This would restart the cycle of environmental harm through production of more batteries. Other proponents of electric vehicles focus on the efficiency of their motors compared to gas motors. As an operating automobile, gas cars have an efficiency of around 30 percent while electric cars are closer to 90 percent (Levinson). Unfortunately, those statistics fail to take in to account the inefficiency of creating the electricity that runs the motors, as was discussed earlier. Ultimately, this is an issue that matters to society because it is an issue of consumer deception. If automakers are able to continue to market hybrid and electric vehicles as significantly better for the environment, then owners of those cars will be unknowingly causing unintended harm. In order to help resolve this issue, policies need to be put in place that would limit the marketing of hybrid and electric vehicles as a perfectly green solution to conventional gas automobiles. Before any of this is done though, more research needs to be collected on the average life of the batteries. With this information, consumers will be able to make more informed purchases and will have a better idea of their overall environmental impact. Hybrid and electric vehicles currently attempt to fill a niche that does not yet exist. Until the process in which electricity and batteries are produced becomes universally cleaner, the smarter, cheaper decision for the average consumer will continue to be the gas powered car. Braun, Peter. "Don't Look So Smug: Your Tesla Might Be Worse for the Environment than a Gas Car". Digital Trends, 14 November 2014. Web. 02 November 2014. Earth Talk. "The Coal Truth: Will the Coming Generation of Electric Cars Just Be Coal-Burners, Once Removed?". Scientific American, 04 May 2010. Web. 02 November 2014. Hartman, Kristy. "Leading the charge." State Legislatures 40.5 (2014): 11. Academic OneFile. Web. 12 Oct. 2014. Levinson, David M. "Electric Avenue". Foreign Affairs 93.3 (2014): 21-26. Academic Search Complete. Web. 24 Sept. 2014. McManus, Reed. "Rise Of The Plug-In Hybrids." Sierra 98.4 (2013): 50-55. Academic Search Complete. Web. 12 Oct. 2014. Patriquin, Martin. "Running On Fumes". Maclean's 126.37 (2013): 44-46. Academic Search Complete. Web. 24 Sept. 2014. Roos, Dave. "Does hybrid car production waste offset hybrid benefits?". HowStuffWorks, 06 December 2010. Science vs. Myth. Web. 03 November 2014. U.S. Department of Energy. "How Hybrids Work". fueleconomy.gov. Hybrid Vehicles. Web. 03 November 2014. Wilson, Lindsay. "The 'Electric Cars Aren't Green' Myth Debunked". Shrink That Footprint, February, 2014. Web. 01 November 2014.